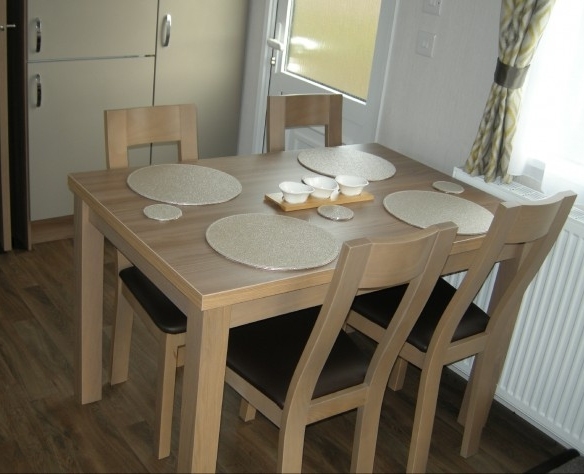 The stylishly furnished Bordeaux offers exceptional holiday accommodation throughout, with double glazing and central heating and large front opening doors. The open plan living area is spacious and thoughtfully designed with soft greys and a citrus colour scheme, creating an ideal retreat. 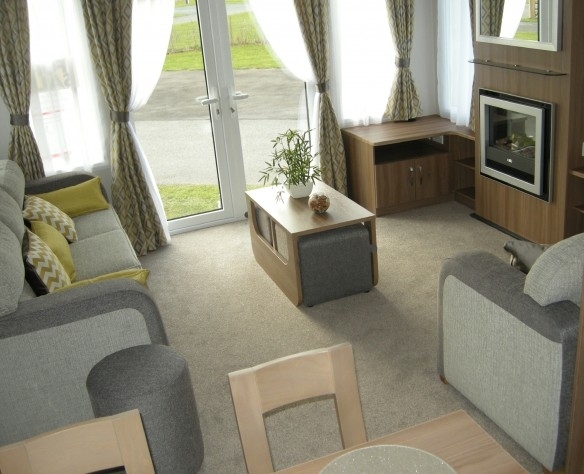 The lounge area hosts comfortable three and two seater freestanding sofas, a coffee table which houses two footstools, a TV cabinet and a tasteful focal fireplace with modern electric fire. The dining area comprises of a sturdy freestanding table and four matching chairs. This is a great space for entertaining. The u-shaped kitchen offers plenty of worktop space and has been designed to provide plenty of storage cabinets, with soft grey slab doors and contrasting wood effect cabinets. 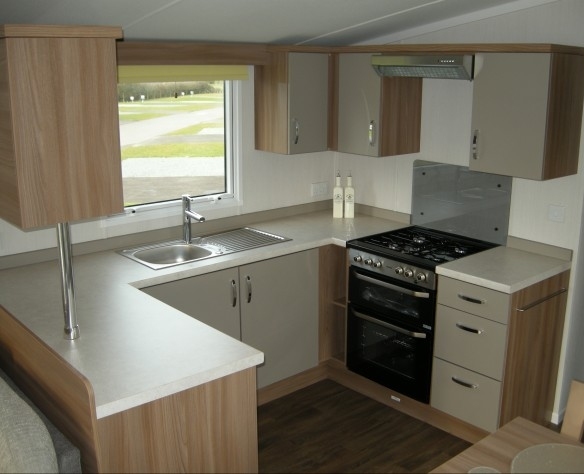 The kitchen includes a cutlery drawer and two deeper pan drawers, a glass-fronted oven, 4 burner gas hob with glass splashback, extractor and integrated fridge freezer. There is also space for a microwave. There are two bedrooms, a twin and a double. 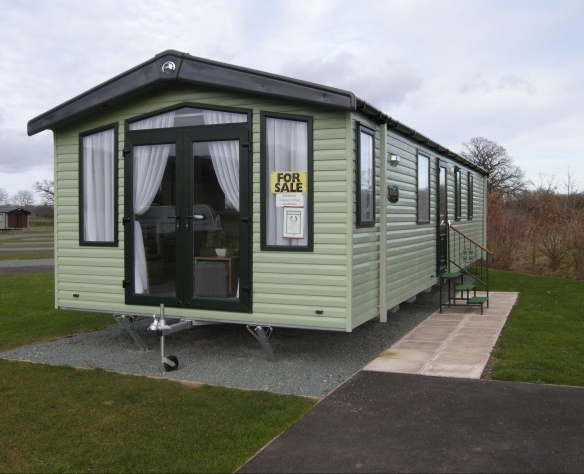 The master double bedroom provides plenty of storage with bedside cabinets, wardrobe space and lift up storage under the king sized double bed. The master bedroom leads off to an ensuite WC. 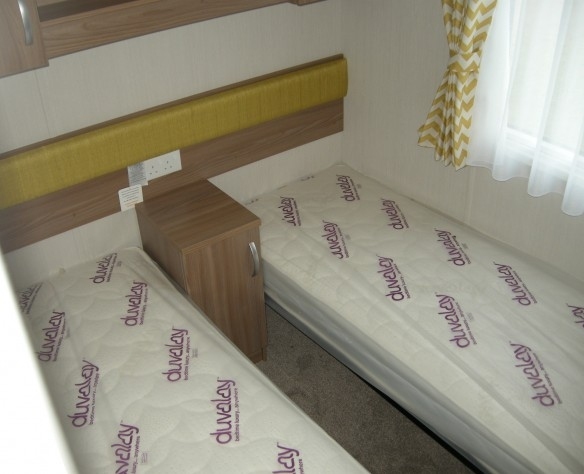 The twin provides two single beds decorated in a calming colour scheme and also features ample storage. 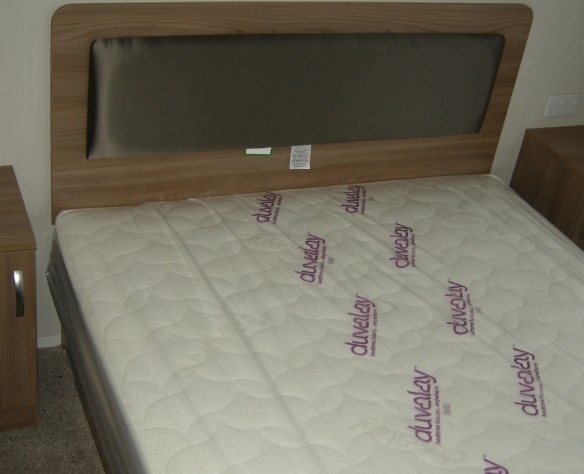 Luxury Duvalay mattresses are supplied on all beds. 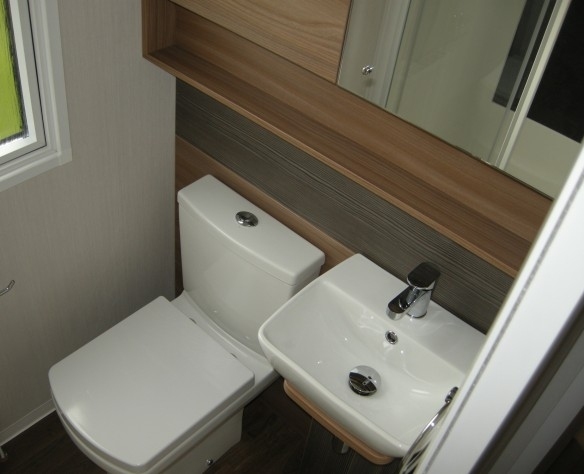 The bathroom is spacious with modern cabinets, basin, toilet and large shower cubicle with sliding glass door.